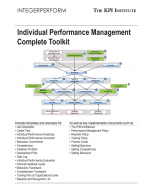 The development of Performance Management in 2012 is the result of a qualitative research study conducted in February 2012, by The KPI Institute. Both primary and secondary research sources were used as part of the study. A total of 12 semi-structured interviews with academics, practitioners and consultants were conducted via telephone and email in February 2012, the data being processed in the subsequent weeks. 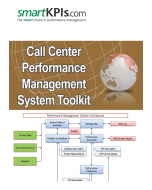 They generated rich insights into the state of Performance Management as a discipline. Thirty keywords that addressed Performance Management at individual, operational and organizational levels were searched and examined using Google AdWords and Google Trends. These tools were selected for their reputation of providing global search data, through trend graphs. Global Monthly Searches from Google AdWords were used to provide an overview of the popularity of these. The most popular job sites across six continents and two major markets (China and the Middle East) were used to assess for the number of positions available in the area of Performance Management. Furthermore, LinkedIn was used in order to increase the comprehensiveness of the search. The relative proportions of available jobs were then calculated for each respective region. The focal point the “Performance Management in 2012” report is centered on the 12 interviews, in which representatives of the University of Southern California, Balanced Scorecard from Eastern Africa, or Mexico’s Cinepolis Corporativo shared their insights on Performance Management, as they saw it develop in 2012. Out of the 177 countries researched, 55 of them had already implemented a Performance Management System within their governments and institutions. In 2012, “Performance Appraisal” registered the highest number of Google search entries, while the highest salary for a Performance Manager was approximately $258K. In terms of Software, Prohix was Gartner’s highest rating Business Intelligence solution. 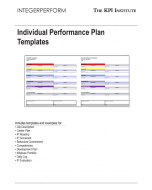 "This is one of the best materials regarding performance management. I highly recommend it for any manager who wants to manage his/her business in the right way." "Great insights and good magazine." "Thanks for a very informative and enlightening material. It would certainly assist me in the long run to further enhance our Corporate Performance Measurement and Management."